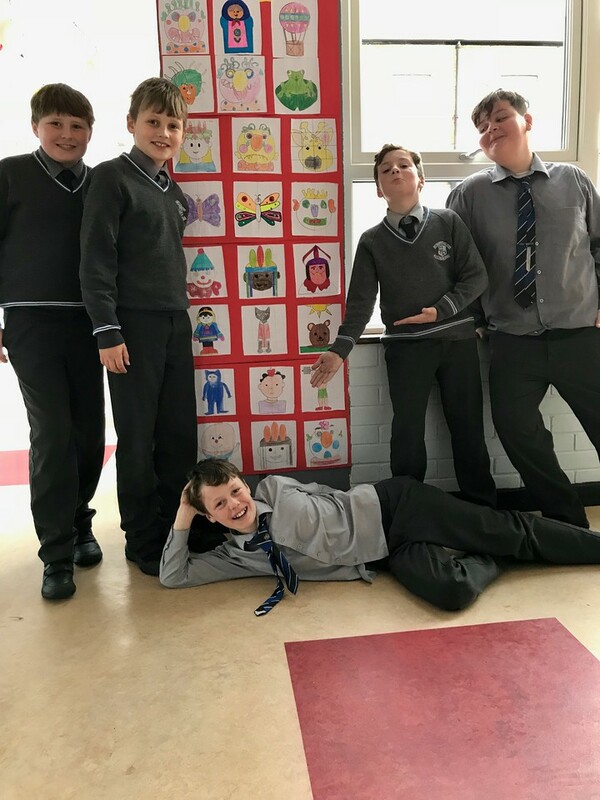 Form 6.1 are a very capable group of boys under the guidance of Ms. Keane. This is a big year for the boys with preparations for confirmation ongoing and thoughts of progression to the senior school next year starting to come into focus. They are impressive in many respects and are to be commended for their dedication to the pursuit of excellence in all they strive to achieve, especially their academic and sporting endeavours. We wish them well for the year ahead! Tuesday – Tennis at 7.50am – 8.50am (school tracksuit and white polo shirt). Wednesday – In school PE lesson (school tracksuit, white polo shirt) and rugby from 12.40pm – 2.00pm (St.Mary’s jersey, white shorts, blue/white socks). Saturday – Rugby at 9.00am in Kenilworth Square or Away matches- check calendar (St.Mary’s jersey, white shorts, blue/white socks). 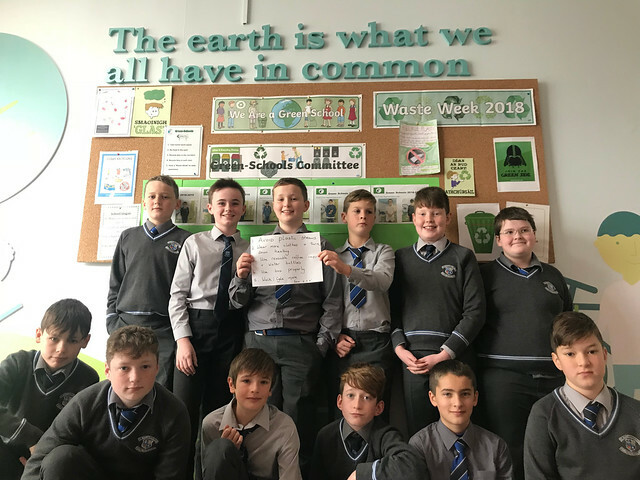 On Monday 12th November Mr Gordon Murray, a past pupil of St. Mary’s College visited our 5th and 6th classes to speak to them about Climate Change and the impact that it has on our Earth. Boys were given the opportunity to ask questions and the session finished with an action plan being drawn up. This is on display on our Green Schools board on the corridor. We learned a great deal about our Earth and what we can do to protect it. Many thanks to Mr. Murray for this time this morning. *THE SUM OF €35 TO THE OFFICE WITH BOYS NAME ON IT AND CLASS, TOWARDS READING BOOKS AND MATERIALS WILL BE COLLECTED DURING THE FIRST FEW WEEKS OF TERM AFTER ASSESSMENTS HAVE BEEN CARRIED OUT. On the 10th March, the students from St. Mary’s College visited the Irish Military War Museum near Slane in County Meath. We got to look at items from WW1 and WW2, including looking at trenches and machinery that were used. We also got to handle the guns which the soldiers used during these wars. Following on from that, we watched an interesting documentary on the wars and Matthew Choi and Ben Slattery were chosen to dress up in military uniforms. The teachers got to shoot guns and the bullet shells were raffled off – Sean O’Leary and Peter O’Beirne were the winners from Form 6(1)! The highlight of the day was getting to go inside the army tank and play in the playground! A great, educational school trip was had by all! Two teams from St Mary’s Junior (Form 6 and 6(1)) went to a rugby sevens tournament hosted by ALJS in St Gerard’s in Bray. It was on Saturday 9th April. On one of the teams was Peter O’Beirne, Matthew O’Shea, Harry Waldron, Hugo Mathews, Denis Leane, Alexander Shortle, Jake McGill, Matthew Blake, Stephen Kennedy and myself! On the other team was Tommy Duignan, Mark McHugh, Tom McEniff, Shane McGrath, Darragh Gilbourne, Luka Hassett, Conor Tracey, Conner Gunn, John Brennan and Daniel Paterson! We got complimentary capri suns, crisps and chocolate bars. It was a great day! As part of our quest for ‘The Water Flag’, all the boys in our Junior School took part in the ‘Walk for Water.’ This has helped us to understand the distances that many people have to travel on a daily basis to get water for themselves and their families. Many thanks to Ms. O’Connell and the boys from The Greenschool’s Committee for organising the event. The boys from Forms 6 and 6(1) attended a talk today which was given by Dr. Fergus Heffernan. The boys learned more about dealing with their feelings and emotions and about how to keep themselves safe while using the internet. The talk was very interesting and the boys really enjoyed it. Thanks to Dr. Heffernan and his daughter Laura for their time. Well done to everybody who auditioned for the musical ‘Annie.’ Callbacks will be from 12 – 2pm on Tuesday 14th February. Please learn the speech by Daddy Warbucks and sing the first verse and chorus from the song ‘Tomorrow’. Refer to the sheet that you have been given! On the 24th of November I went to Wales with my class to play rugby. After school we went on the bus to the airport with our luggage. There were very few people there because it was a school day. We went to the place where you wait for your plane and the Leinster rugby team were there. We go on the plane and so did the Leinster team. On the plane I talked to my friends and one of the players was sitting in front of me. We got autographs! We arrived at the airport and went to our hotel on a bus. We arrived and had our dinner when we got to the hotel. We then had a meeting in the meeting room. Our coach told us the teams for the match the next day. We went to our rooms and could watch TV for an hour. Afterwards I tried to get to sleep because we had a big match the next day. The following morning we had breakfast at the hotel and went for a walk around Cardiff. We went to the official Welsh rugby shop and I bought some stuff, like a rugby ball. We then went back to the hotel and went to play a match. We played really well. We won 42 – 7 and the A team won 26 – 12. We went to a Welsh rugby team’s stadium called Scarlets to watch Leinster play against them. Unfortunately Leinster lost but it was still a great game. We went to the airport and got onto the plane with the team late that night and flew back to Dublin. We arrived home really late and I was so tired. The trip was amazing and we got to meet up with the Leinster team which was a great experience. The boys from Form 6(1) will have their 6th class retreat in Kimmage Manor on Monday 30th January. Boys are to wear their school tracksuits. The boys will travel by bus from the school to Kimmage. The bus will depart at 8.30am and will return by 2pm. Form 6 and 6(1) will be going to Wallace High School on a rugby tour on Saturday 19th November. The bus will leave the Junior School at 8am sharp. Be in school at 7.45am. The boys are expected back in school at 2.30/2.45pm. Wear school tracksuit with rugby gear underneath. Don’t forget boots and gumshield! Parent Teacher Meeting for Forms 6 and 6(1) well take place on Tuesday 15th and Thursday 17th November. Boys will go home at 12.10 on these days. Schedule to follow. November 25th – Cake Sale in the Junior School Hall in aid of St. Vincent de Paul. Christmas tests will take place on 5th – 9th December. 6th class Pre – Confirmation on – site Retreat date TBC. February 17th at 11.15am – Confirmation Service of Light in the College Chapel. At least one parent to attend. Boys will need their Baptismal Candle (or any white candle). Boys go home after the service. Staff meeting day. Confirmation for 6 and 6(1) is on Friday 3rd March. Date to be confirmed with the Parish Church. During Maths class this week, we learned about symmetry. Have a look at our symmetrical pictures which are on display outside our classroom! St Mary’s College Junior celebrate ‘Science Week’ from 18th – 22nd of September. During the week, the boys completed a project on their favourite Irish Scientist. These projects are being displayed for all to admire! A company called ‘Learnit’ came into each class to teach the boys about Lego and in particular Lego mechanics. They made cars and tested their speed on a ramp. Many thanks to Rob and Niamh for their help and patience! One of our challenges for the week was to build a house made from cards. The aim of this task was to construct a house big enough to hold our toys. This involved lots of planning and teamwork. The end result was fantastic. Check out the link to the photos to see the end product! Many thanks to Mr Agnew in Form 3 for all his hard work in preparing us for Science Week. A special thanks also to Mr Rock (Euan’s Dad) for coming into the class to talk to us about life in The Central Bank. We had a super time! The boys from Form 6(1) attended a book reading by the author Brian Gallagher in Dubray Books in The Swan Centre on Friday 6th October. Brian was discussing his new book ‘Pawns’. The boys had read the novel in class so they were full of enthusiasm and questions. Brian described the writing process, from the initial idea all the way through to the finished product. Many thanks to Brian Gallagher and to Dubray Books for inviting us to attend the event! We celebrated our Confirmation Day on Friday 23rd February in Rathmines Parish Church. Monsignor Enda Cunningham confirmed us and he was really kind and funny. After the mass we went for lunch with our families. Some families went together to a hotel and it was good fun. We really enjoyed the day.